Welcome to the first quarterly newsletter of 2019. During 2018, the branch found loving homes for 190 of the greyhounds that came into our care and this year has started well, with a further 49 leaving us to date and 4 more on reserve to leave us in early April. Since our branch started, we have now found loving homes for 3,907 retired greyhounds and hopefully will reach the 4,000 mark later this year. The branch also supports 5 greyhounds, that have long term conditions or are ‘oldies‘ and we are grateful to their new owners for allowing them to live out their remaining years in the comfort of their homes, rather remaining in the kennels. The kennel team staff rota is continuing, as it worked well last year, with our bank team members covering staff holidays or time taken by staff members to attend training events or major events such as Crufts. We are lucky to have a dedicated team of kennel volunteers who assist the team and walk the kennel hounds on a daily basis. We are regularly being asked about the new kennels. At present there is no news of new kennels from head office, but they have confirmed that the money we sent them for these is still being held in a ring fenced account for the future. The events coordinator Stephen Smith has sent this report. This year’s roadshow programme is up and running. Regular volunteers have turned out as dependable as ever, and it was great to see a number of new Roadshow volunteers getting involved. The year’s events started at the beginning of February in Wolverhampton City Centre. It was a bitterly cold Saturday but the weather didn’t put people off, there was lots of interest from passing shoppers and it was agreed we’d got off to a good start to the year. On the 2nd March the Roadshow went to Walsall Town Centre. It has been a while since we’d been to Walsall however it was great to go back. The Trailer was positioned towards the Wharf end of town and we benefited from a busy thoroughfare. Volunteers were busy all day and there was a tremendous amount of interest. With everyone involved in Crufts the next event was Stafford Town Centre on 23rd March. We enjoyed a sunny day and benefited from being there when the Farmers’ Market was taking place. It was great to see people who had adopted hounds from us in the past who came to say hello. As with the two previous events a number of people enquired about homing one of our hounds, which made the day worthwhile. Details of future Roadshows are on the ‘Events’ page of the Website. If you’re able to get involved, please contact Steve Smith, you’d be most welcome. The walk coordinator Carole Appleby has sent this report. Thank you to those who took part in our first Greyhound Walk of 2019 at Marquis Drive, Brindley Heath, Cannock Chase on Sunday 24th March. Thirty-four hounds and their families enjoyed a choice of two walks on a fine sunny day. After the walk there was a raffle and a sale of Greyhound Trust Merchandise which raised £82.50. As usual the hounds enjoyed sausages. One of our Kennel hounds, a handsome boy called James, came on our walk and he behaved very well as did all the hounds. 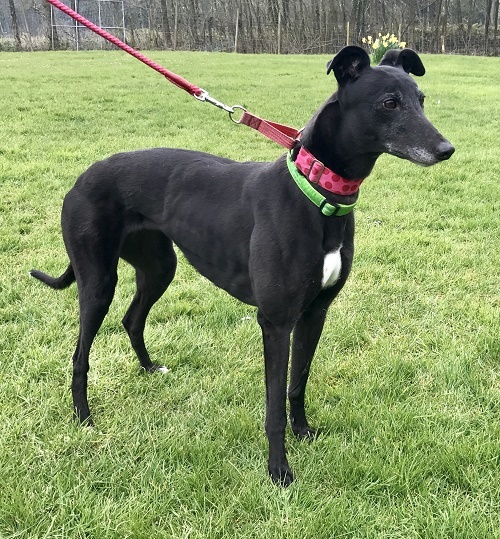 It was the first Greyhound Walk for Freya, who was adopted a few weeks ago and for Miss Daisy who had been in her new home for just a week. Both were settling into their new homes really well. Our next walk is on Sunday 19th May and is at Baggeridge Country Park DY3 4HB. That will start at 10.30am and there will be a choice of a short or a longer walk. Please meet near the Bandstand which is clearly visible from the Car Park. The June walk is part of the Great Global Greyhound Walk when hounds walk nationally and internationally to raise awareness about the breed. On that day Greyhound Trust Wolverhampton will be walking in partnership with our colleagues from Greyhound Trust Dudley. This year is the 10th Anniversary of the GGGW so come and join us on the 9th June. Please note that the June walk will start at 11am. We appreciate your continued support because although the walks are a social event they help us to raise awareness about Greyhounds and the amazing pets they make. Since January we have arranged a schedule of dates to cover the whole year to visit New Cross Care Home and Dovedale Court where our visits are always eagerly anticipated. Our first visit of the year to New Cross was unfortunately cancelled on arrival due to a flu bug which had resulted in many of the staff being asked to stay away. On our next visit the residents were so happy to see the hounds again and of course, the hounds really enjoyed all the attention!. Hopefully we will also be attending some of their weekend events as they often include us in their charitable donations. Visits to Dovedale Court have continued to be very successful and and we much appreciate the donations they make every time we visit. The number of registered volunteers at our branch continues to grow and at the start of the year we did the usual 'check in' with everyone. We lost a few long time volunteers for various reasons and counted 72 at the start of 2019. Since then another 4 have joined us and interest and different areas of expertise are always welcome. As a branch we were asked to coordinate the Discover Dogs breed booth again for the 10th consecutive year. Terry and Al went on Wednesday 6th March to set up the back drop which was designed by our head office team. As usual we had the 'the NEC will never be ready in time for show opening in the morning!' However it was and the time we spent there was a great success. Over the four days, 25 different hounds bought along 34 humans, to talk to the interested public asking about Greyhounds as pets. Tired legs and dry throats as usual at the end of Sunday evening but a most interesting few days. This report has been sent to us by our Social Media coordinator Chloe Hayes. Social media is continuing to be a wonderfully positive tool for us and our branch. We update our facebook and twitter almost everyday with photos of our hounds leaving us for their happy new homes, pictures of us out and about on roadshows and other various events as well as general updates from day to day life in the kennels. It is the best way for you all to keep up to date with our hounds and any other information we wish to share with you, as well as interacting with other greyhound owners. We have been receiving many positive reviews and recommendations on our Facebook which we love reading, it makes us all very happy knowing that families are so thrilled with their new pet! It’s also very encouraging for new homers visiting our page when they are considering adopting a new friend. If you are not already following us, please do so on twitter @GTWolverhampton and search Greyhound Trust Wolverhampton to like us on Facebook. We’d love to see you on their sharing stories and posting pictures of all your wonderful hounds. This report has been sent to us by our Supported Hounds Coordinator Joanne Hayes. 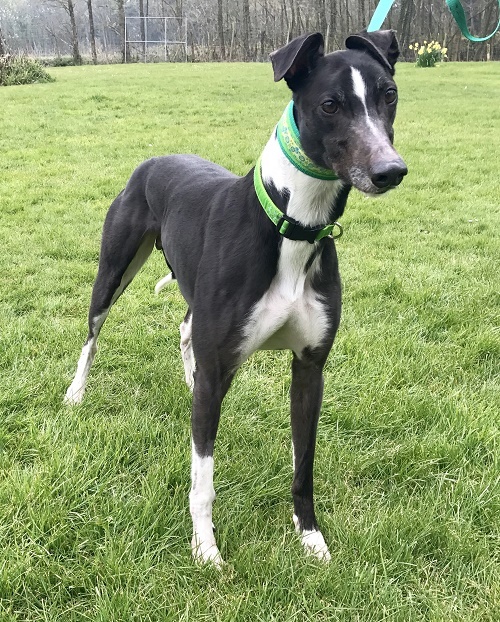 Don't forget our supported hounds scheme which runs from April to April and costs £25 and enables us to look after hounds that we have homed but need extra support from us with either medication or ongoing veterinary care. 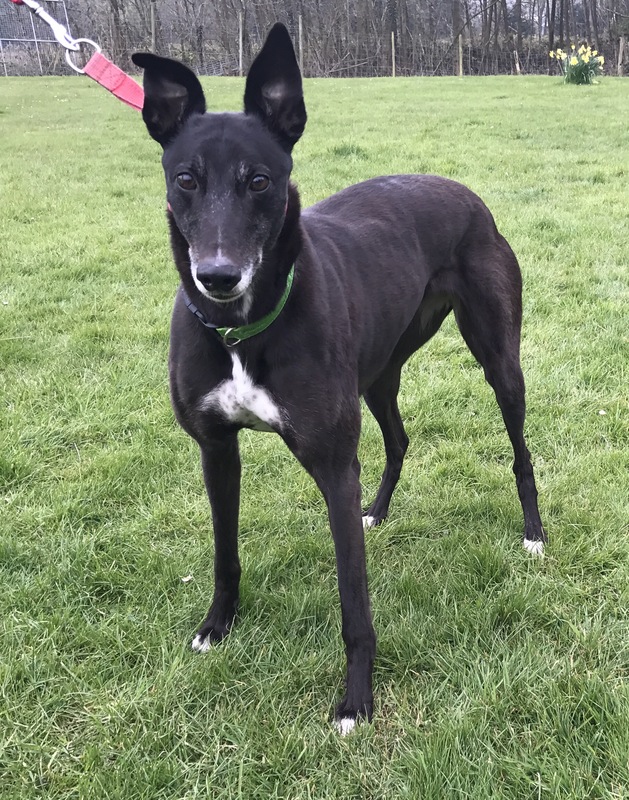 We currently have 5 supported hounds, Luigi, Parker, Nell, Murphy and Holly who are helped by the trust with their ongoing care. 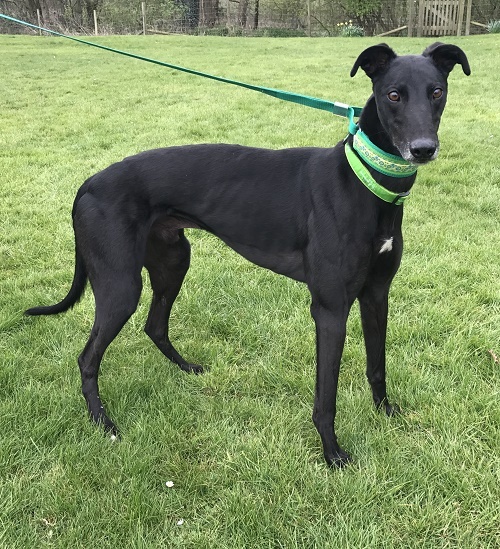 You will find the form on our website if you would like to join and help these hounds or alternatively you can contact the kennels for more details. For those who already kindly support these hounds the 2019 renewal letters will be posted in the next few days. This is a black tie event, so the gentlemen can squeeze into their dinner jackets that have of course once again shrunk and the ladies have an excuse for a new dress. There will be the annual awards, a charity auction, a tombola and not to forget the three course dinner and late bar. Tickets are £35, but registered volunteers tickets can get theirs for £20 concession. All profits from this event go to the Midland branches and it has always been a well supported event. Please contact the kennels to order your tickets or if you require any further information.